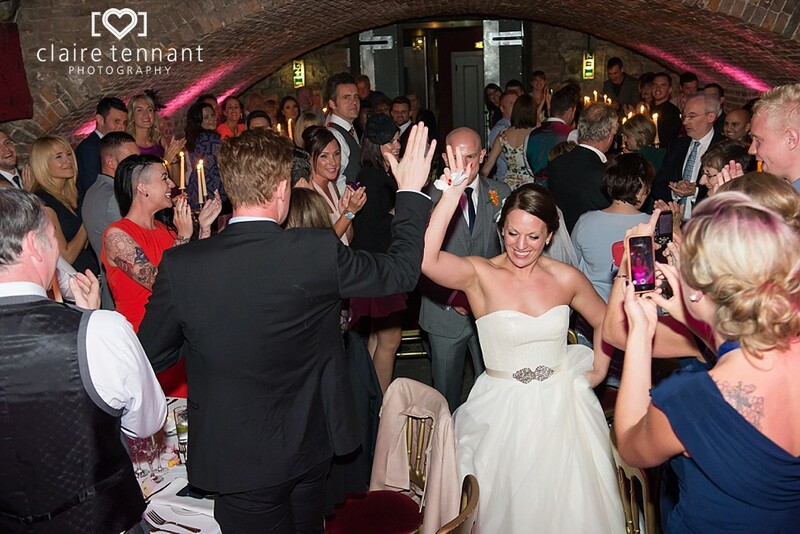 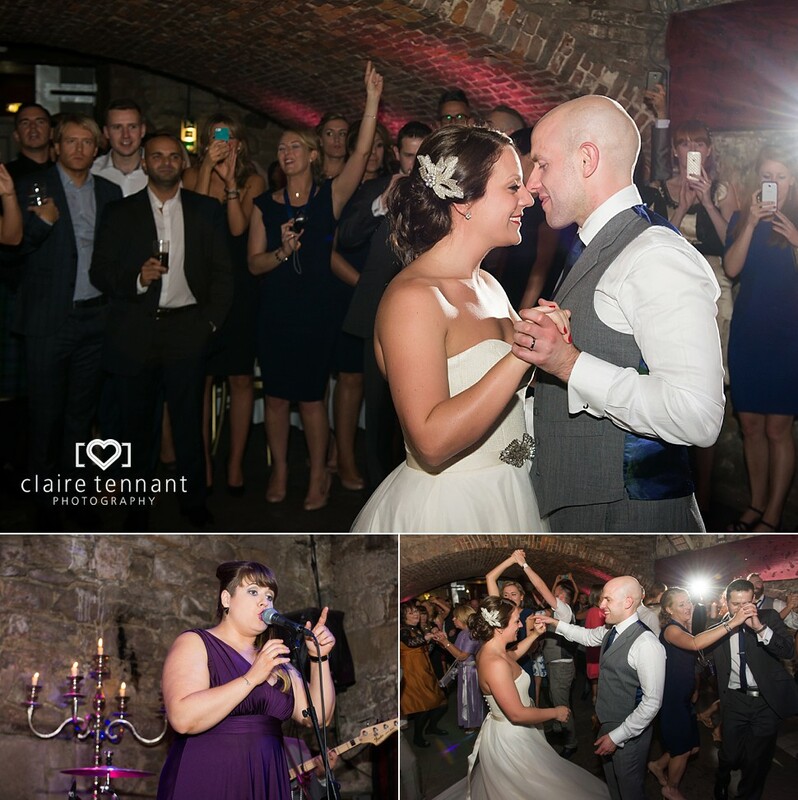 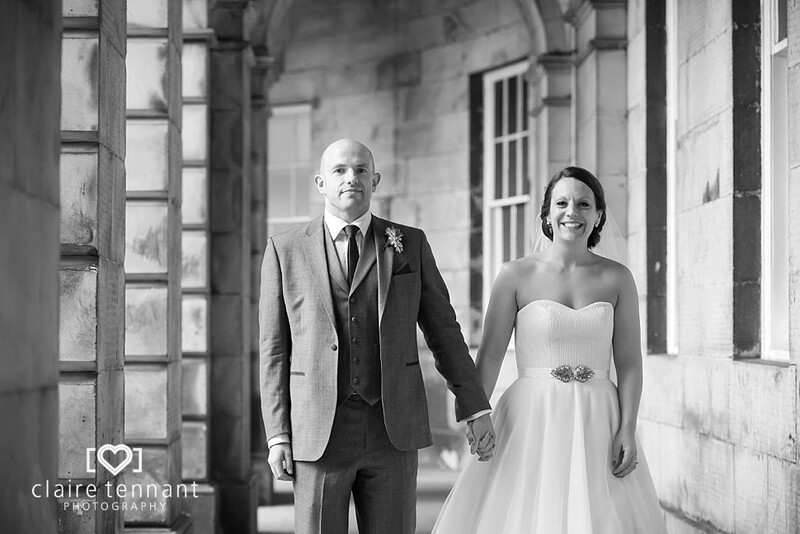 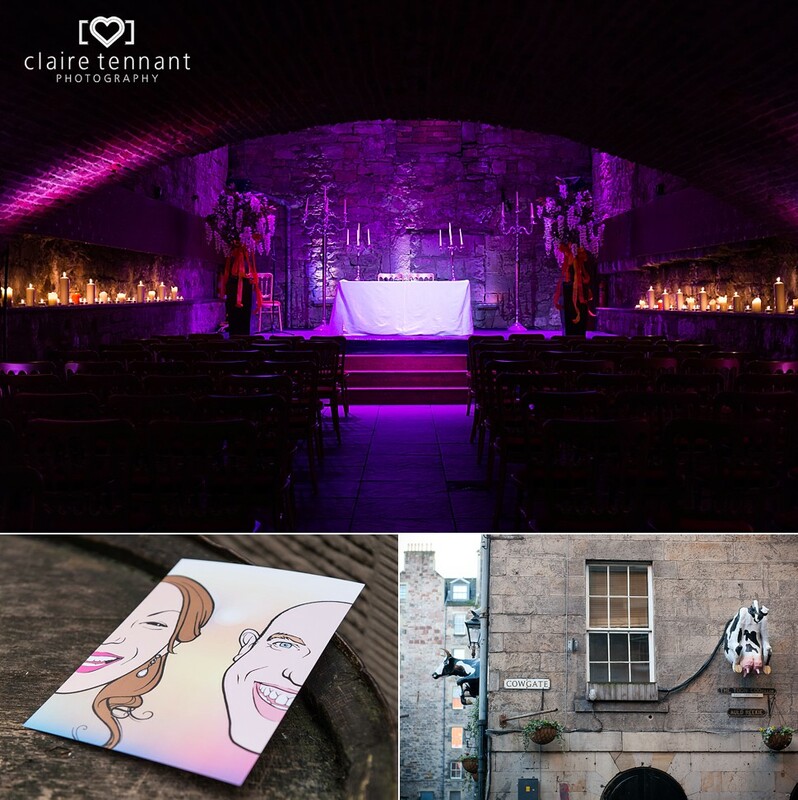 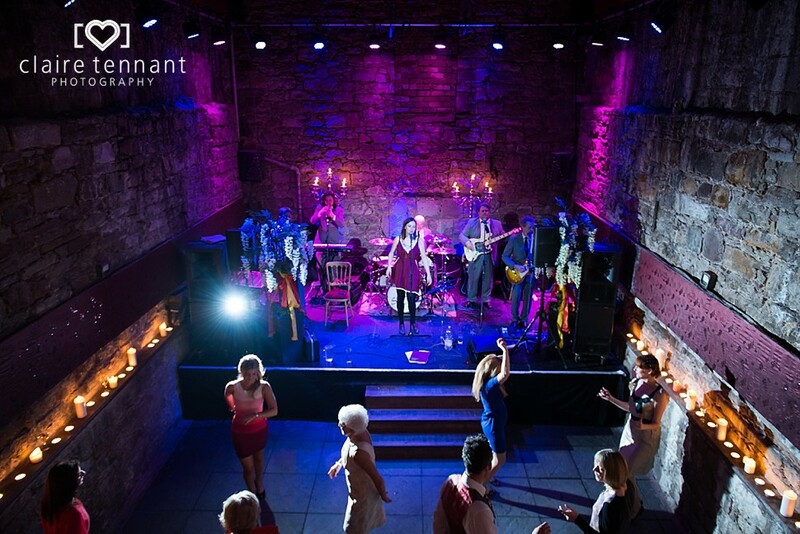 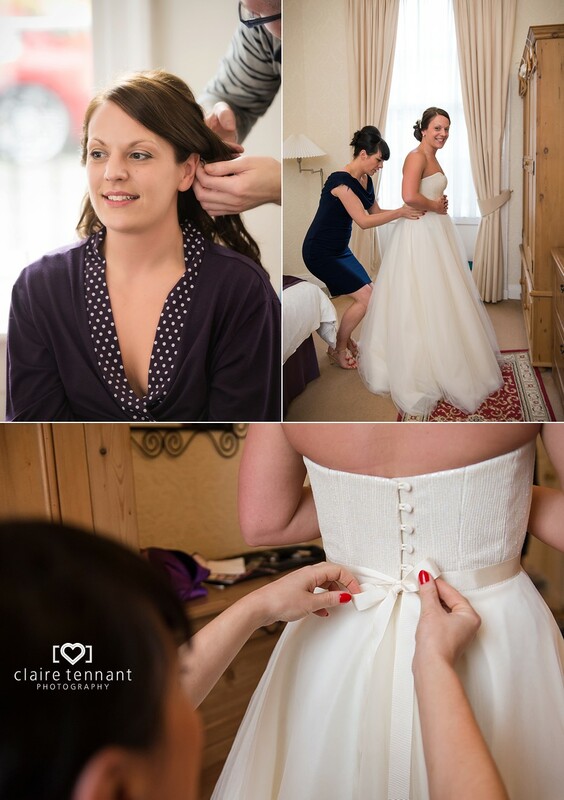 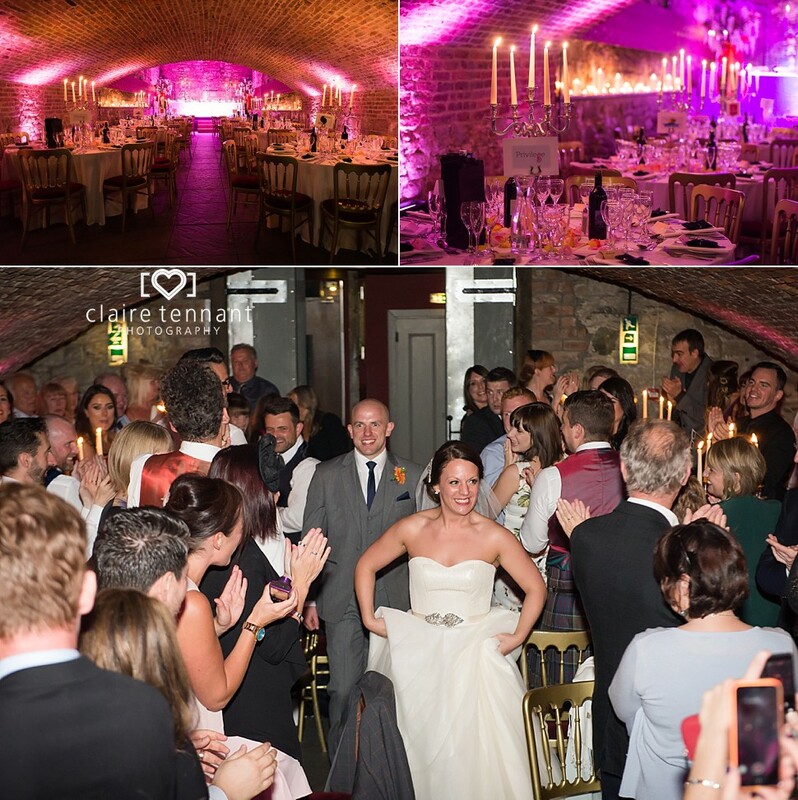 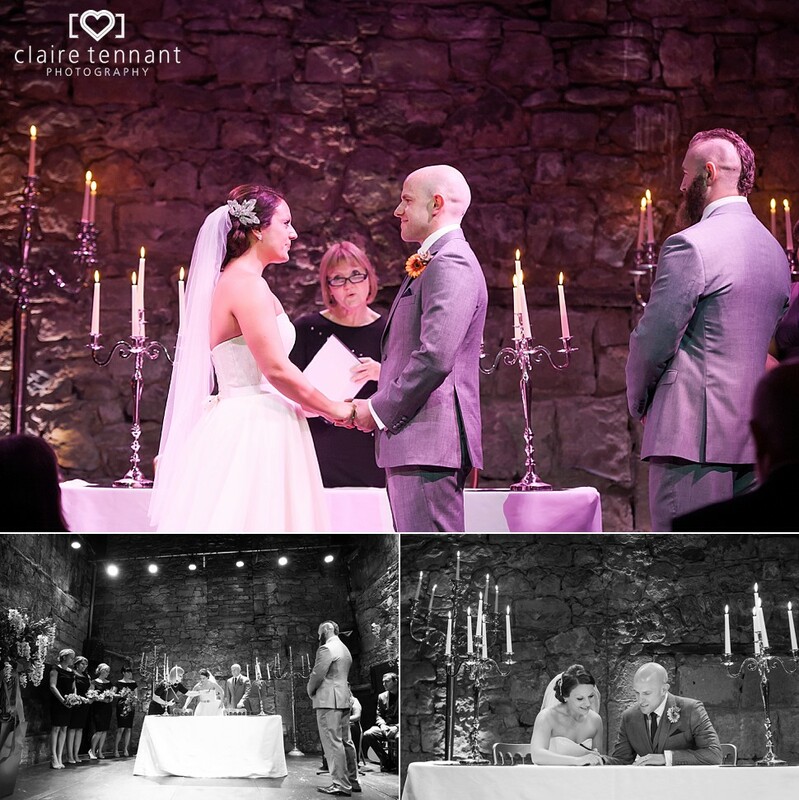 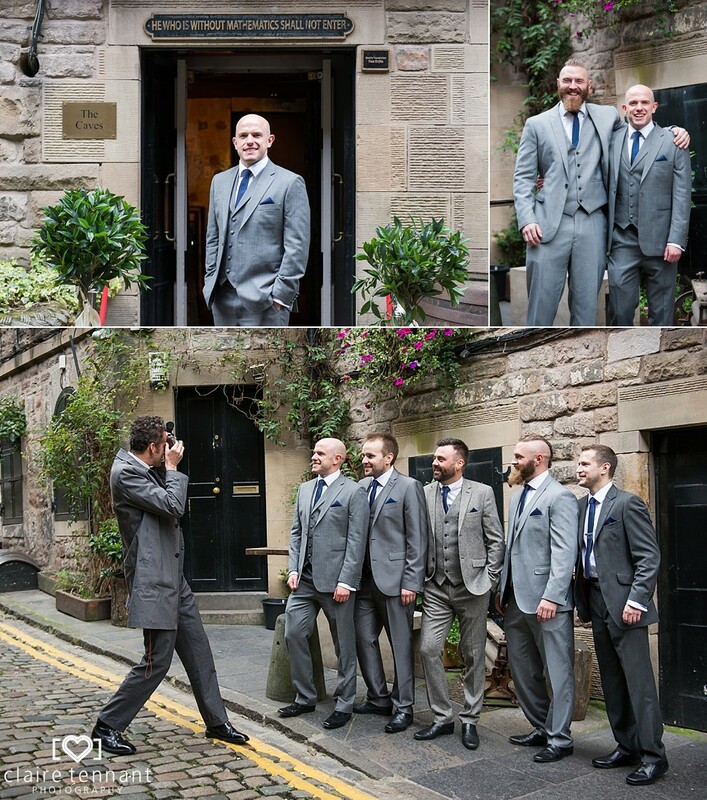 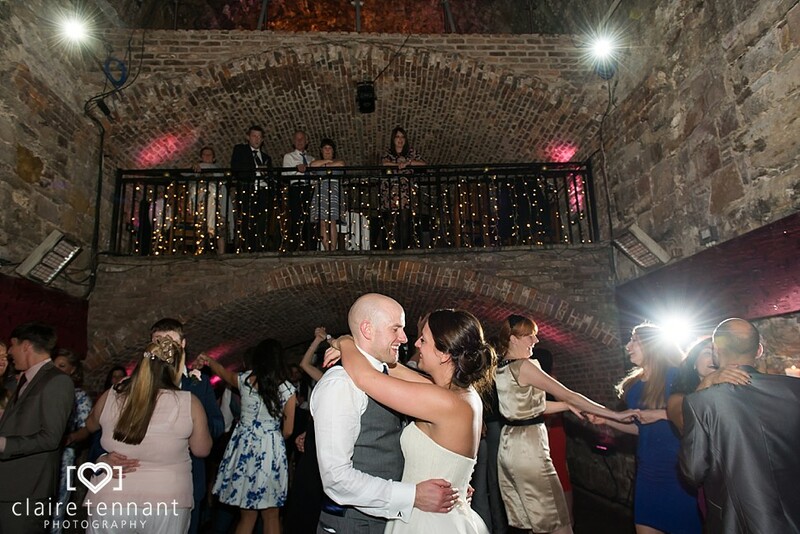 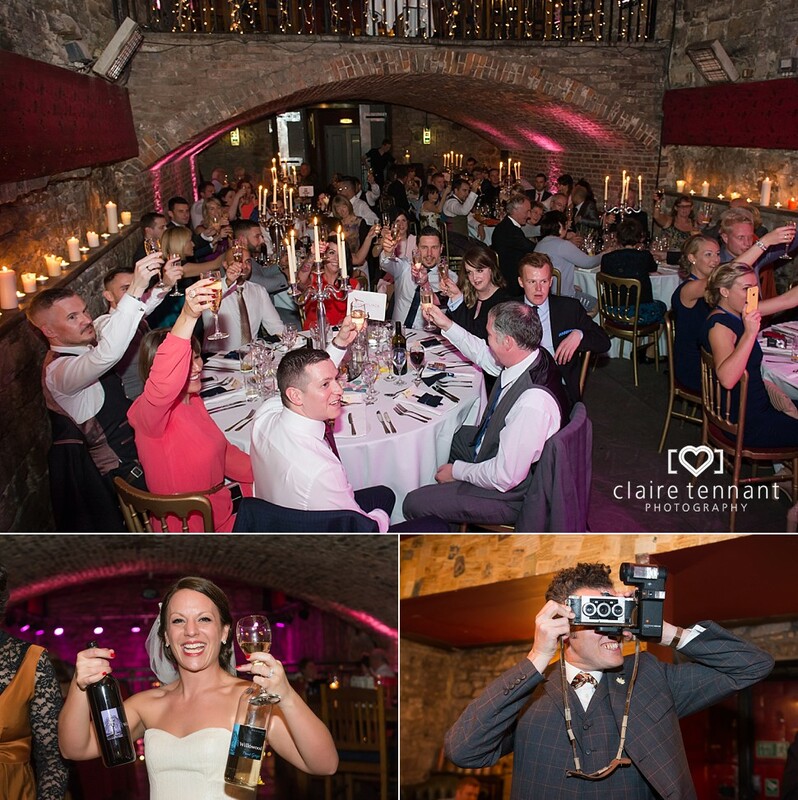 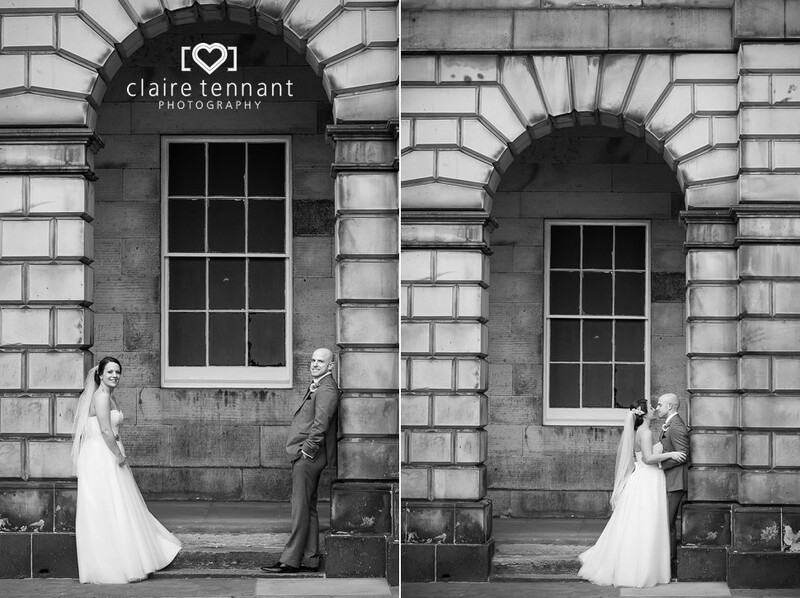 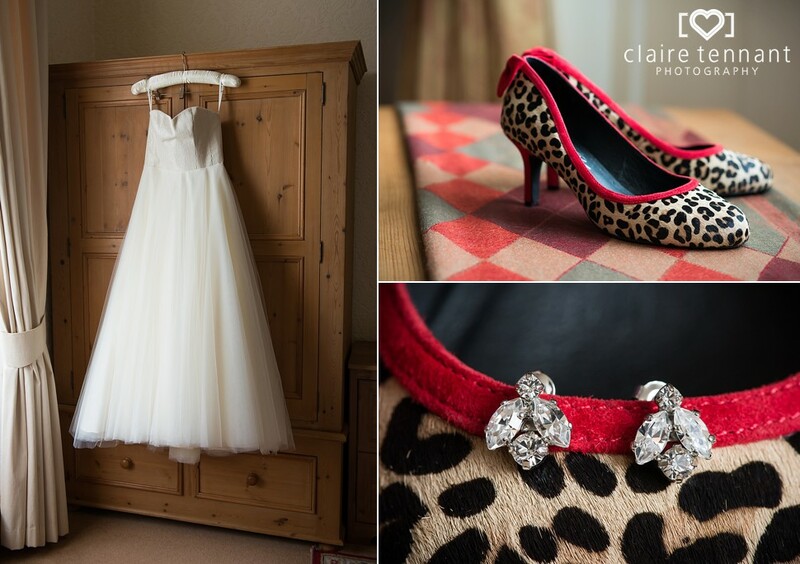 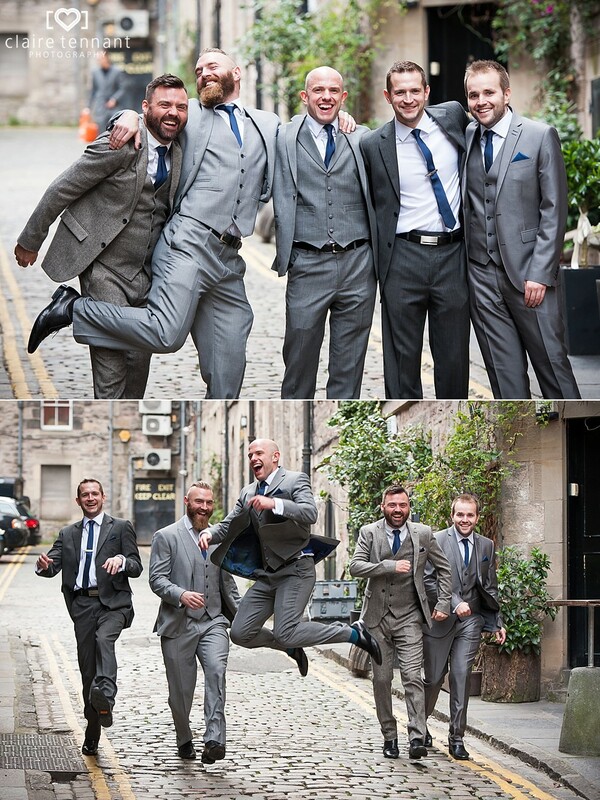 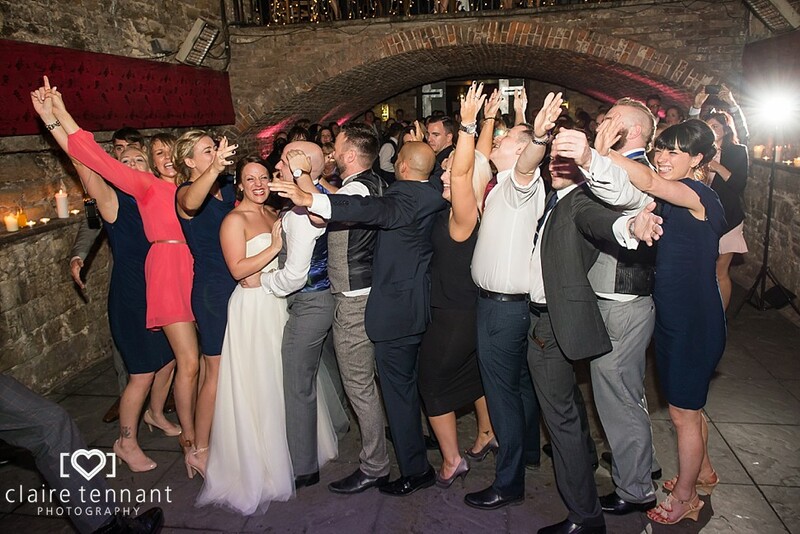 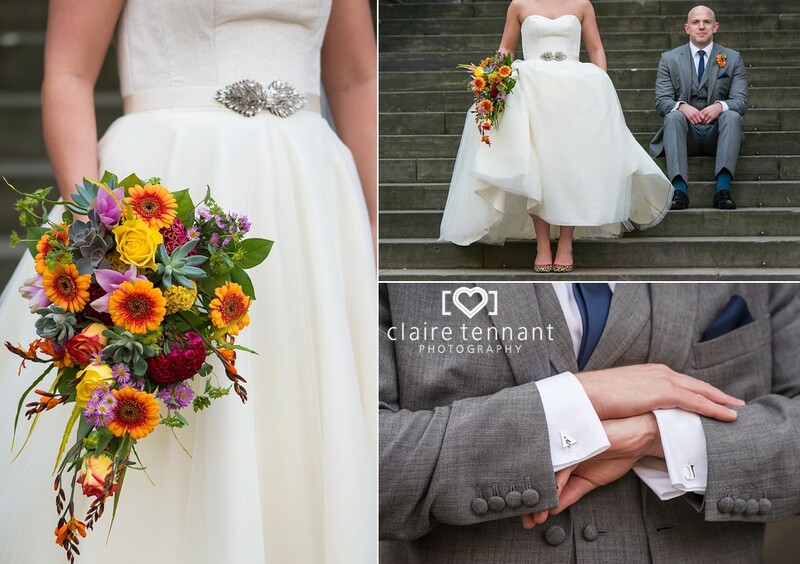 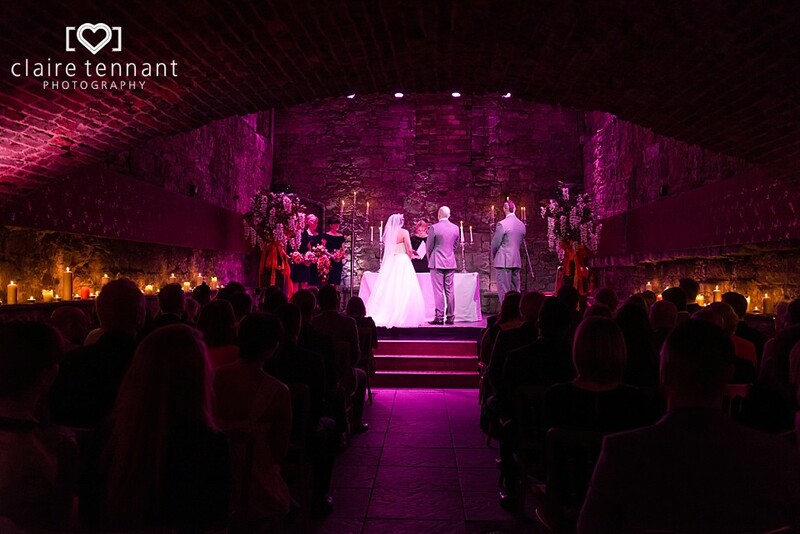 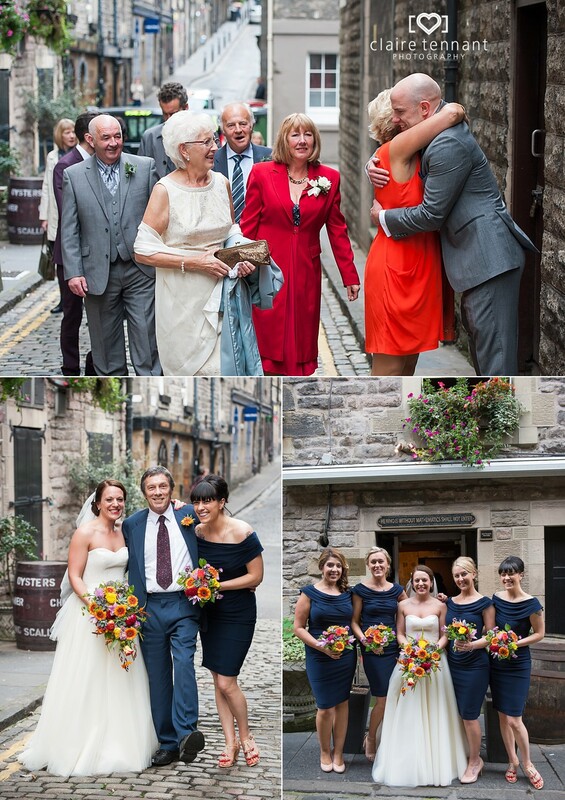 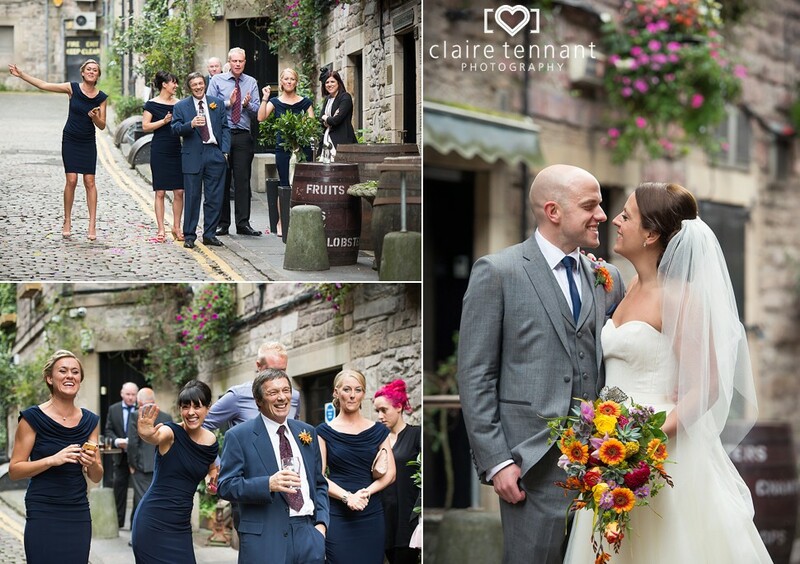 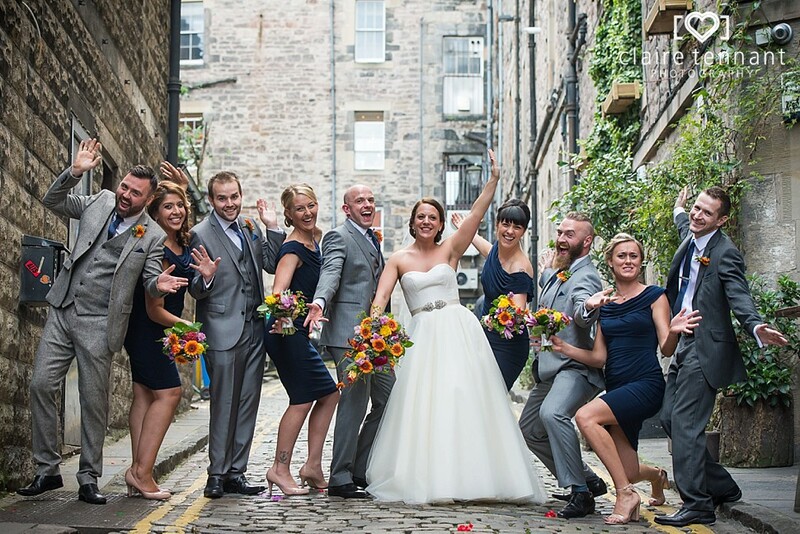 Jolene and Allan’s wedding at The Caves in Edinburgh last September was bursting with fun and personality! 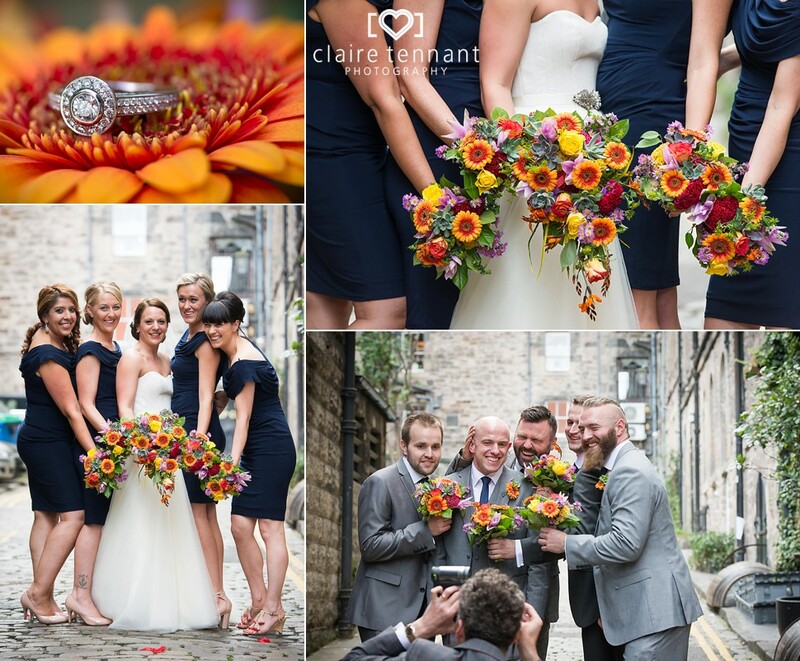 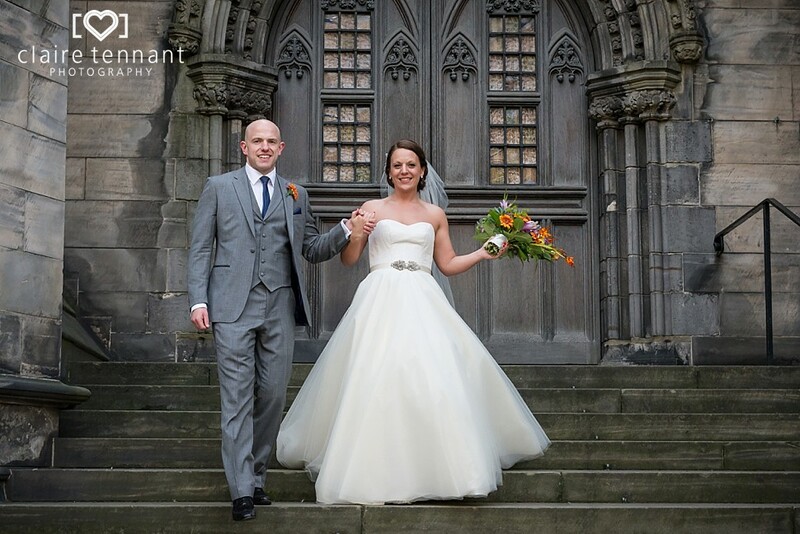 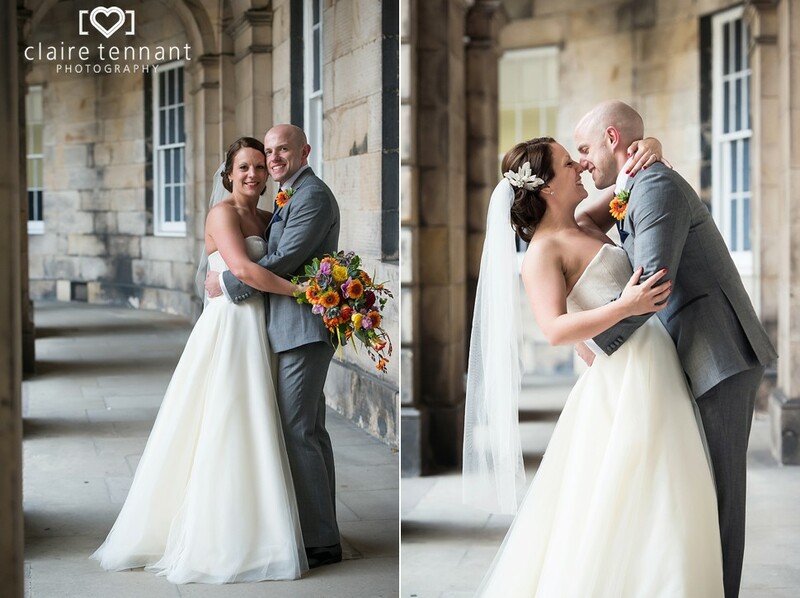 I loved the bright orange pop of colour from the flowers, Jolene’s leopard print shoes and the fact they had a magician and a 3D photographer – very cool!! 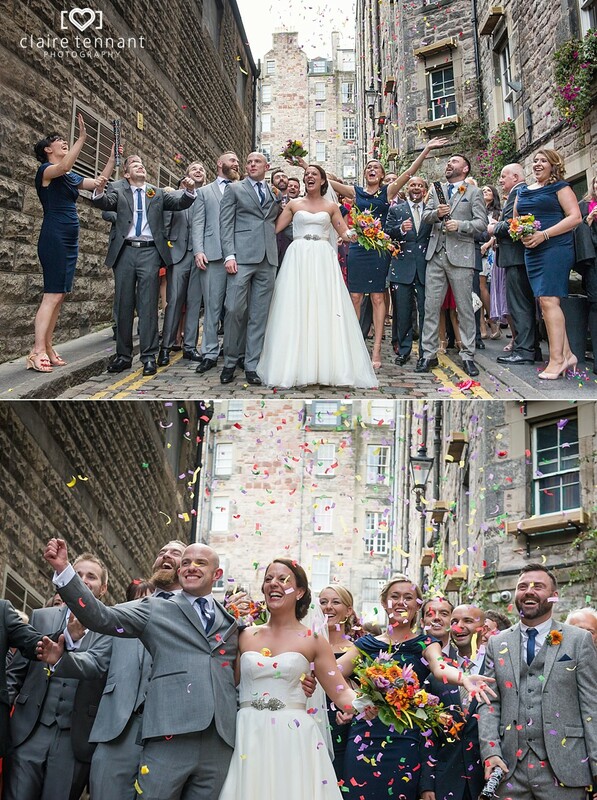 It was the first time I’d seen confetti cannons in use and as you can see they worked brilliantly for the big group shot! 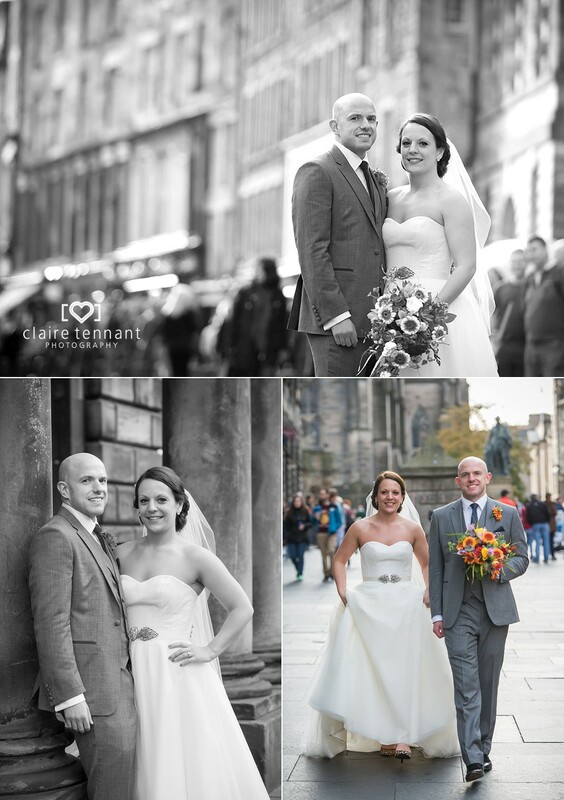 We managed to head along to the Royal Mile for some natural light couple shots which made a great contrast to the shots inside the dark and dramatic Caves. 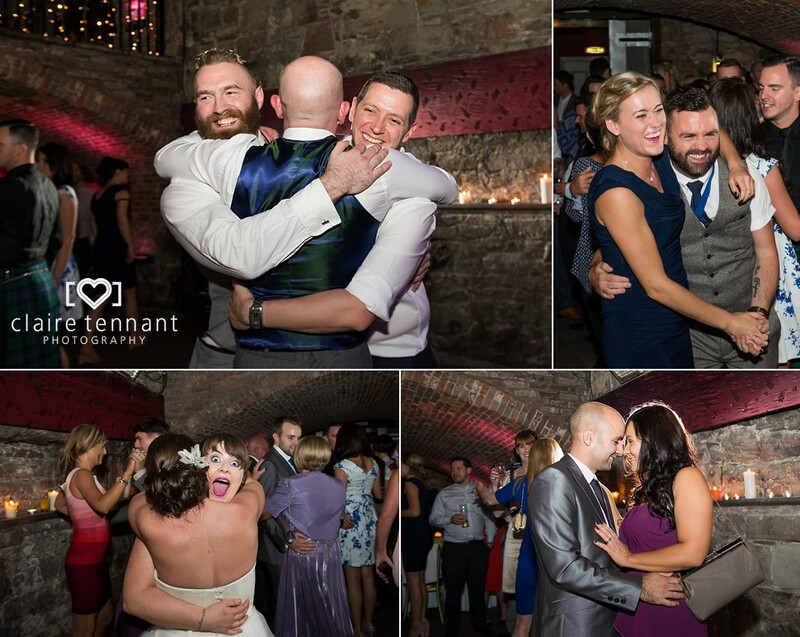 One of the highlights for me was seeing Jolene and Allan sandwiched between lots of their friends on the dancefloor…such a fun moment 🙂 .